is a Geographic Information System Analyst and Cartographer with the Program on Health, Equity, and Sustainability (PHES) at the San Francisco Department of Public Health (SFDPH). Devan performs geospatial and data analysis for several public health projects, including San Francisco’s Vision Zero policy. 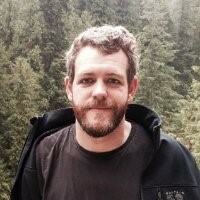 He is the lead developer on TransBASEsf.org, an innovative open source database management system designed to access, manage, and apply spatial data to inform solutions to transportation problems. TransBASESF.org currently includes over 200 spatially referenced variables from multiple agencies and across a range of geographic scales, including infrastructure, transportation, sociodemographic, and collision data, all linked to an intersection or street segment. This information has been used to create the city’s High Injury Network and for capital project prioritization as part of WalkFirst San Francisco. He believes GIS an excellent tool to better understand the spatial distribution of phenomena, can be applied with a broad and diverse number of fields, and allows one to better understand how our world operates. He feels strongly that GIS data should also be made freely available to the public, allowing a broader audience to understand and have input on issues impacting our health and our society. Prior to SFDPH Mr. Morris worked on Environmental Impact Reports analyzing the impacts of the California High Speed Rail through the Central Valley and helped develop spatial datasets for the Port of Oakland’s web security portal. He teaches beginner and intermediate GIS classes through City College of San Francisco’s GIS Education Center and volunteers with BayGeo. He earned his Bachelor of Science from University of California, Davis and an Associate’s Degree from American River College. is an Epidemiologist II in the Program on Health, Equity and Sustainability in the Environmental Health Branch at SFDPH. She works primarily with citywide Transportation-related Injury Surveillance System data in support of San Francisco's Vision Zero program. Her varied public health experience includes rapid HIV testing and needle exchange in the Tenderloin, quality improvement, report development, and data wrangling within SFDPH's Behavioral Health Services. She also serves on Bridge HIV's Community Advisory Group, concerned with Bay Area HIV prevention research. Shamsi has performed evaluation and research on children's language development in rural Senegal, and coordinated a randomized clinical trial comparing uveitis drug treatments across three continents. The common denominator of her public health pursuits is a passion for investigating and addressing health disparities. Shamsi earned her MPH in Epidemiology from Tulane University School of Public Health & Tropical Medicine and a BS in Neuroscience from UCLA. Shamsi is a born and raised San Franciscan, and she most often commutes via bicycle. is a Health Program Planner with the Program on Health, Equity and Sustainability team at the San Francisco Department of Public Health (SFDPH) where she conducts research and evaluation to support City health and transportation initiatives including Vision Zero and the Central Market Tenderloin Strategy. She oversaw the youth Photovoice Project for Safer Taylor Street, led the evaluation for the city's pilot Motorcycle Safety Program, supported the creation of the Central Market Tenderloin Data Portal, and was instrumental to the analysis for the Mayor's Executive Directive on Achieving Vision Zero: Bicycle & Pedestrian Safety that identified target areas for traffic safety improvements for seniors and people with disabilities. 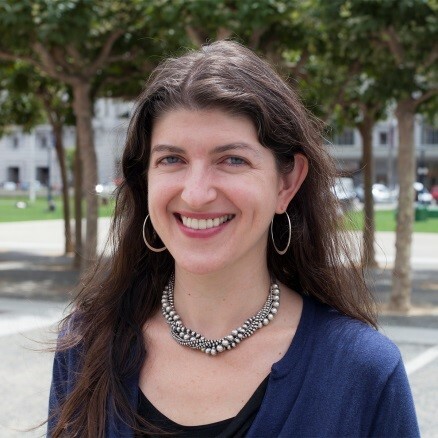 Prior to SFDPH, Mimi built the Best Practices Library - a collection of best practices focused on addressing health and equity in regional transportation planning decisions - for TransForm, an Oakland-based transportation advocacy group, and worked on graphic design for Goldman Sachs. Mimi received her BA in Environmental Economics and Policy with a minor in City and Regional Planning from UC Berkeley. is a Senior Epidemiologist with the Program on Health, Equity, and Sustainability (PHES) at the San Francisco Department of Public Health (SFDPH). Meg primarily works in the area of community indicators – developing innovative metrics to measure the geographic distribution of environmental and social assets/barriers to good health to inform equitable development and distribution of resources. Her current projects include managing the San Francisco Indicator Project and the Central Market/Tenderloin Data Portal. Meg uses this community indicator work to collaborate with community groups and other City agencies, including the Planning Department, Office of Economic and Workforce Development, the Mayor's Office of Housing and Community Development, and the MTA. Of late, her work is increasingly focused on the Tenderloin neighborhood, by providing evaluation and decision making guidance for the Central Market/Tenderloin Strategy, the Tenderloin Health Improvement Partnership, and the MTA's Safer Taylor Street project. Meg also sits on the advisory boards for the Civic Center Public Realm Plan and the California Environmental Health Tracking Program and the steering committee for SF Planning's "Advancing Equity in a Changing City" project. In addition to community indicators, Meg also supports SFDPH's triennial Community Health Needs Assessment and its Health Impact Assessment (HIA) practice – including, most recently, an HIA focused on the health of residents living in SRO buildings. Prior to joining SFDPH, Meg worked at both the California Department of Public Health and the Centers for Disease Control and Prevention where she conducted research on youth physical activity habits and developed evaluation and surveillance plans for place-based nutrition and physical activity interventions. She earned her Master of Public Health from Emory University and her Bachelor of Science from UC Berkeley. is Director of the Program on Health, Equity and Sustainability (PHES) in the Environmental Health Branch at SFDPH, where she and her team work with local communities and government agencies to develop and apply innovative approaches to using health data and evidence to inform safe, sustainable and equitable transportation and land use planning decisions in San Francisco. Megan is passionate about using data, science, interdisciplinary collaboration, and community partnerships to advance public health. She and her team use a mix of methods including geospatial analysis, predictive modelling, community-based participatory research, and health impact assessment to understand and address the health impacts of a wide range of transportation and housing related policy decisions. Ms. Wier co-chairs the San Francisco Citywide Vision Zero Task Force to eliminate traffic deaths, and oversees comprehensive, collaborative data systems in support of evaluation, surveillance, monitoring and analysis of San Francisco’s data-driven, evidence-based transportation injury prevention initiatives. She currently serves on the Transportation Research Board of the National Academies’ Task Force on Arterials and Public Health and Committee on Pedestrians. 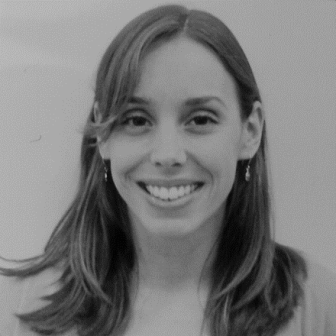 Prior to working at SFDPH, Megan conducted research on a range of public health issues including preterm birth, health insurance for the working poor, and autism spectrum disorders, and directed evaluation, research and quality improvement activities for a New York City social service agency serving pregnant and parenting youth in foster care. 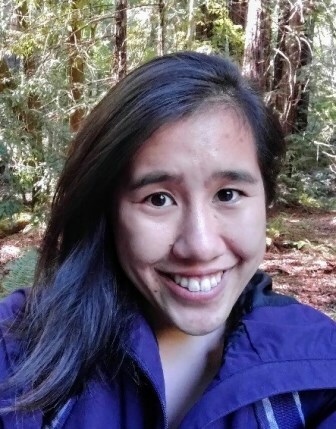 Megan has an MPH in Epidemiology and Biostatistics from UC Berkeley, and a BA in Sociology and Women’s Studies from the University of Michigan. is a Transportation Safety Research Assistant for the Program of Health, Equity and Sustainability in the Environmental Health Branch at SFDPH where she conducts research, supports data analyses, and develops communications materials for bicyclist injury prevention efforts under San Francisco's Vision Zero policy. Prior to SFDPH, Mia spent a year with the SFPUC Resource Recovery and Pollution Prevention team, working on everything from recycled water feasibility studies to community engagement strategy, as a part of the inaugural class of the San Francisco Fellows program (formerly known as City Hall Fellows). 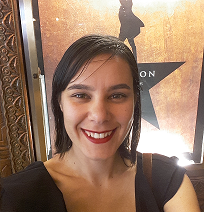 In her free time, Mia continues the work that she did as an undergrad with the American Mock WHO and GlobeMed and has had the pleasure of sharing this advocacy and leadership development work at the United Nations and in the Lancet Global Health. Mia received her BSPH in Health Policy and Management from the UNC Gillings School of Global Public Health. is a Health Program Coordinator for the Program on Health, Equity and Sustainability and the Food Safety Program in the Environmental Health Branch at SFDPH, where she is assisting with improving Environmental Health data systems and data sharing in support of regulatory programs and San Francisco’s open data initiatives as well as implementing nutrition legislation policies. Prior to SFDPH, Tiffany worked as the Director of Operations at The Fit Kids Foundation, a nonprofit organization, which provides health, fitness, and nutrition education opportunities for elementary school-aged children in low-income communities. In addition to developing program curricula and researching best practices in the fields of youth health and wellness, she expanded the program service area from the San Francisco Peninsula to new communities throughout the entire Bay Area, Los Angeles, Houston, and New York. She also served as the Aquatic Coordinator at Mills Health Center (Sutter Health), planning and leading aquatic therapy and rehabilitation programs for adults and children. While at the UCLA Fielding School for Public Health, Tiffany chaired the Students of Color for Public Health and School of Public Health Mentorship Program. Tiffany received her BA in Sociology and Asian American Studies and her MPH with a concentration in Community Health Sciences from UCLA. Healthful Environments: Healthy people reflect healthful environments. 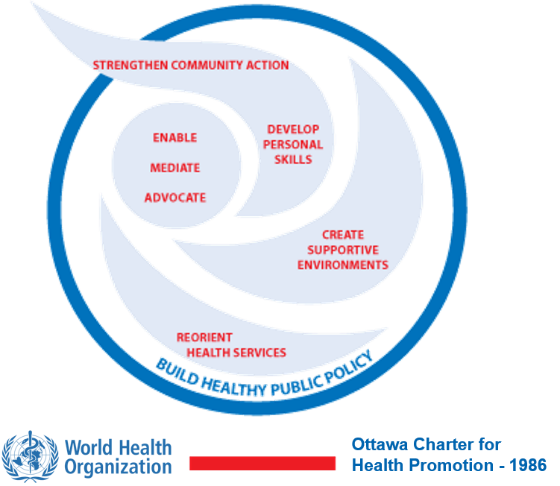 Following the 1986 WHO Charter on Health Promotion, we define the basic conditions and resources needed for health to be peace, shelter, education, food, income, stable ecosystems, sustainable resources, social justice, and equity. Equity: A fair distribution of economic, political, social and natural resources and opportunities improves individual livelihood and the overall health of society. Sustainability: Conserving and improving economic, social and environmental systems so that present and future community members can lead healthy, productive and enjoyable lives. Inter-connectedness: The natural and built environments, human activities, and human relationships are connected. Public Access and Accountability: The process for making public choices must be open and involve the people most affected. Good public policy decisions ensures that all participants have access to relevant information, including an understanding of underlying conflicts and competing interests. Meaningful Participation: Ensuring meaningful public participation in policy-making requires sincere actions to support people’s involvement, the valuing of local knowledge and experiences, and incorporating the perspectives and needs of communities into decision-making.